It's All About What's New! It's been kind of a quiet week....this week in between Christmas and New Years, which has been OK with me, that's for sure. The hustle and bustle that always accompanies the Christmas season is fun, but we're all happy for the break afterward, aren't we? The stack of antique quilts pictured here represents the basis of a new fabric line I'm about to send in to Marcus Fabrics. 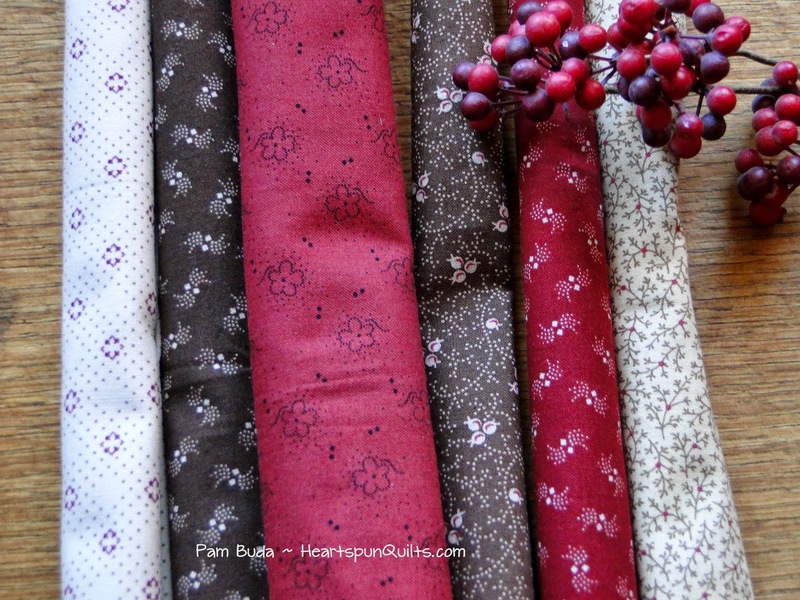 New quilts to go with it, new fabric...in this business....it's all about 'what's new'! Very fun and exciting stuff. 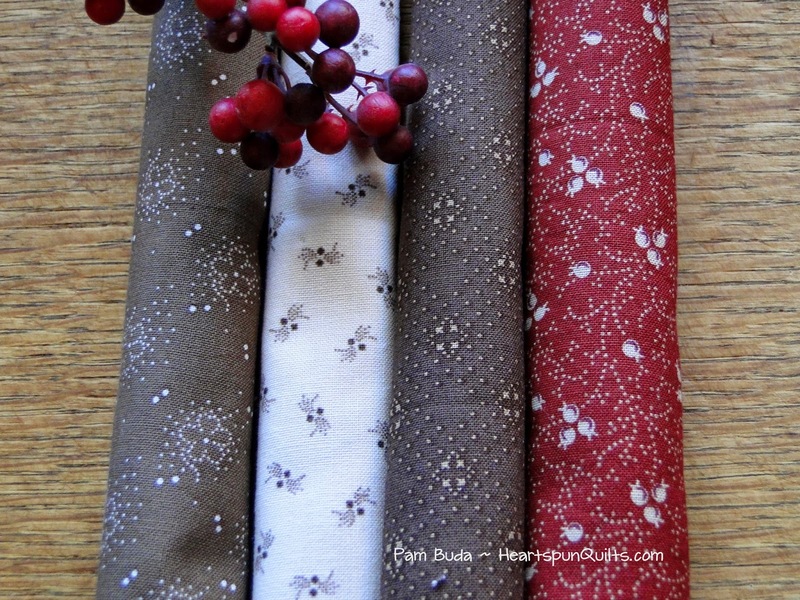 I've been waiting and waiting for my Treenware & Berries sample fabric to arrive...and I'm still waiting!! 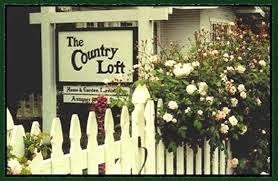 I just know it's gonna come just when I'm headed out the door to travel to California for my visit to The Country Loft. I'll have more waiting to do until I can finally get my hands on it. That will be a little frustrating, but that's just how it goes sometimes, right?!! So, that's what's been happening here. Not much to show or share, but new stuff coming soon. Including a brand new year. 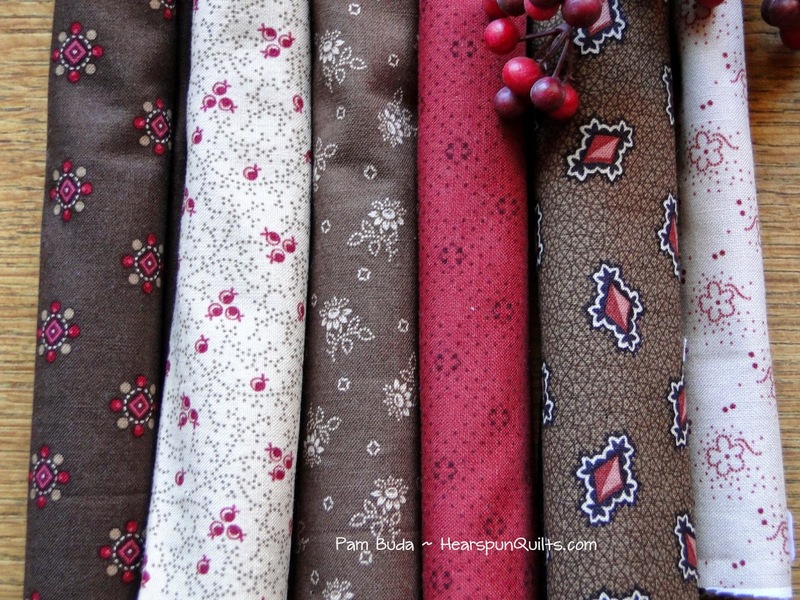 I hope 2015 will bring each of you joy, good health, family time, sewing time, laughter, and prosperity. I hope it will bring peace and good will to everyone around the world. Seems our world can really use it! I'll bet your home is all a buzz with activity for the holidays. We most definitely have been. I received an unwelcome gift from my son in the form of the flu, which was short lived, thank God, I expect because of the flu shot we had in October. A mild cold has stayed on though, but it could have been much worse. I spend a little time on Pintrest. Well....perhaps a more than a little some days, and one of my favorite things to hunt for are slow cooker recipes. I try a lot of recipes in a years time, and boy do I have a winner to share with you. This recipe is by far the best recipe I have found all year!!!! Slow cooker or otherwise. Trust me, I can not say enough about this recipe. Wonderful, tasty, easy, good enough to serve for company!!! Honestly...this is something you have to try!! I found the recipe via Pintrest, and that took me to the Six Sisters Blog. Fun stuff...spend a few minutes browsing their blog as I'm sure they have loads of yummy recipes. This one, however, takes the cake. 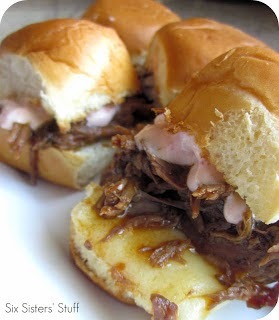 Their recipe for Three Envelope Pot Roast Sliders is over-the-moon wonderful! It's made in the slow cooker, has just 6 ingredients, and best of all, all you have to do is dump them into the slow cooker and let it work its magic!! The house will smell delightful all day....I promise! The pot roast is everything you'd ever want good braised beef to taste like. I do make sliders when I make this, and substitute different cheeses to shake things up. I don't, however, make the creamy chipotle sauce, but I'm sure its good, if you like that sort of thing. I have shared this recipe with many friends already, whom have made it and served it with mashed potatoes instead of making sandwiches. I have saved half and popped it into the freezer, and it's just as good the second time around. 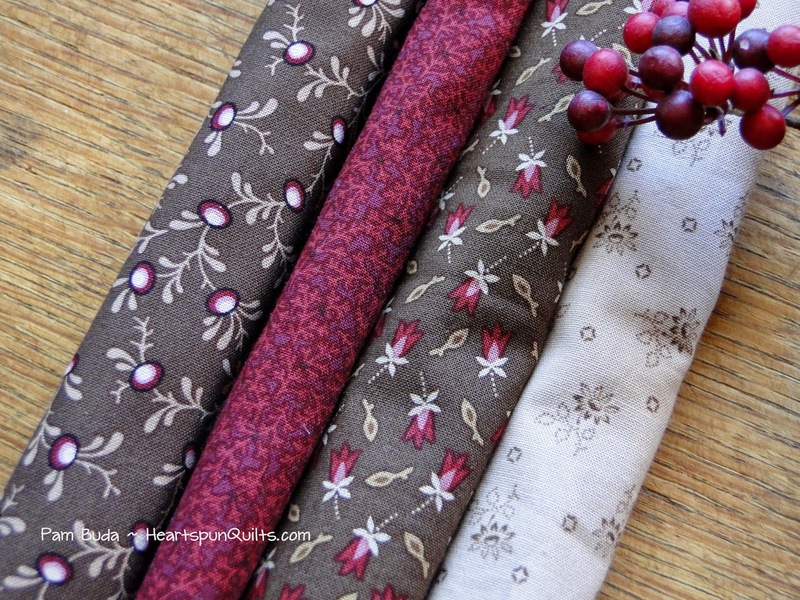 So, after the holiday passes, and life takes on a slower pace, try this recipe and spend the day sewing. That's what I'm planning on doing. I hope you like it as much as I do. It's such a good thing!! 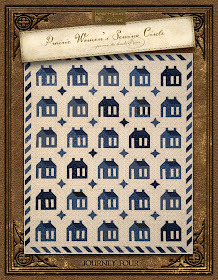 Click here for a printable version of the Three Envelope Slider recipe! Wishing you all a very Merry Chistmas!! I can hardly believe how quickly 15 days went by! 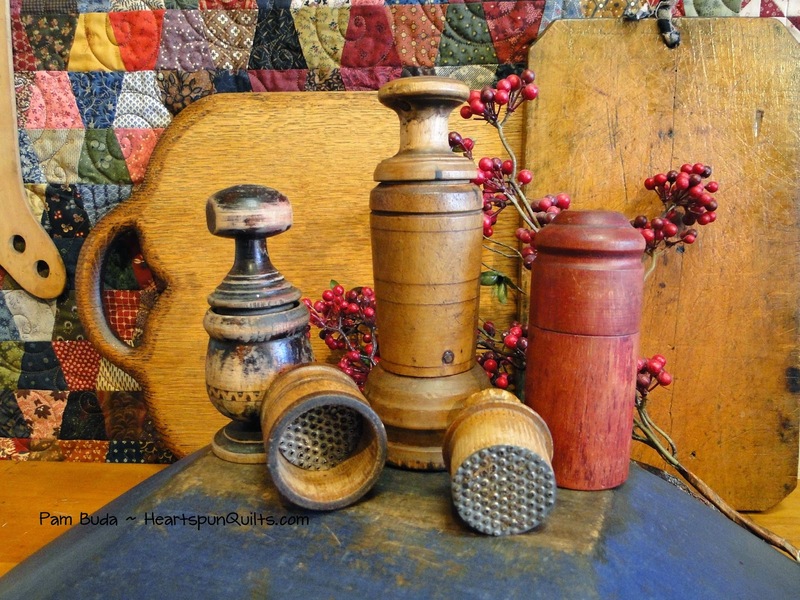 Wasn't the Primitive Christmas Blog Hop fun??!! I thoroughly enjoyed it, and sure hope you did, too!! 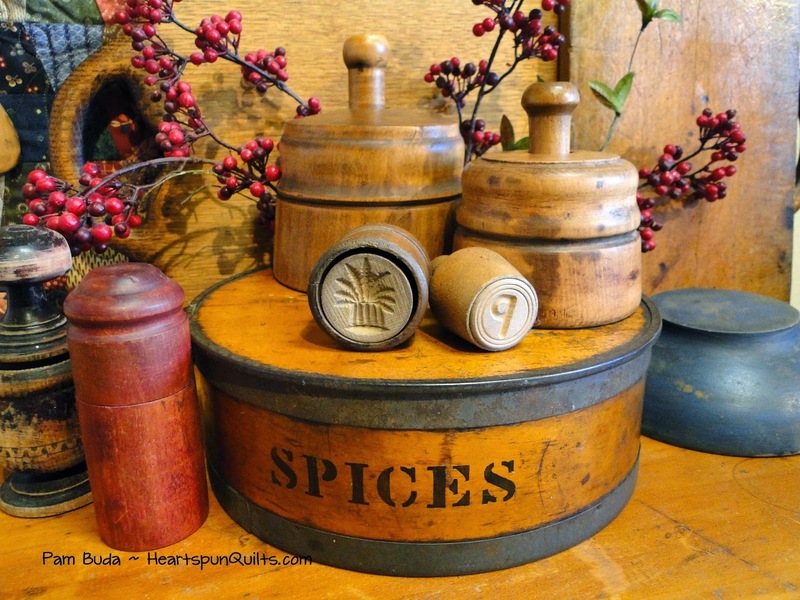 If you visited Stacy West's Buttermilk Basin blog you also learned that she decided to host several more of these wonderful soirees this coming year! YAY!! Exciting stuff. Thanks for the cheese spread recipe - filing it away for this year's treat! And, those snips are really cool! 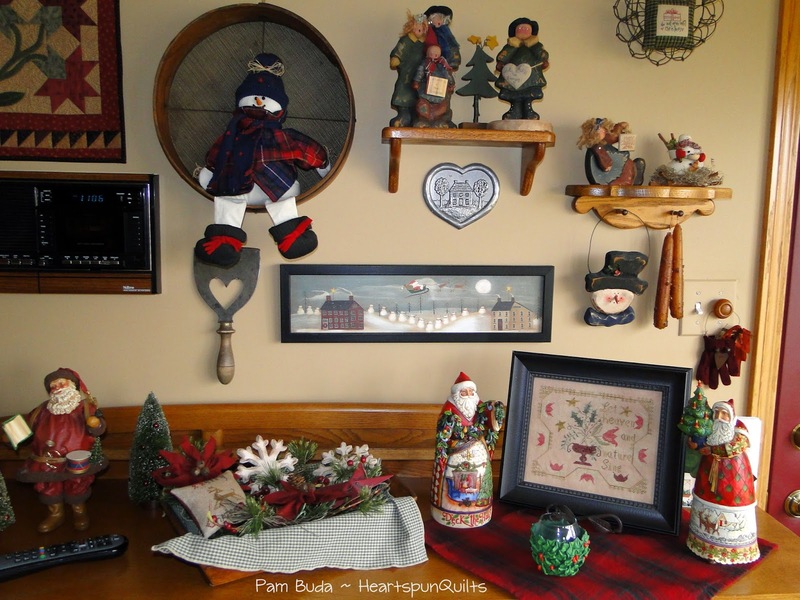 Have a Merry Christmas, Pam - and thanks for a very satisfying blog. 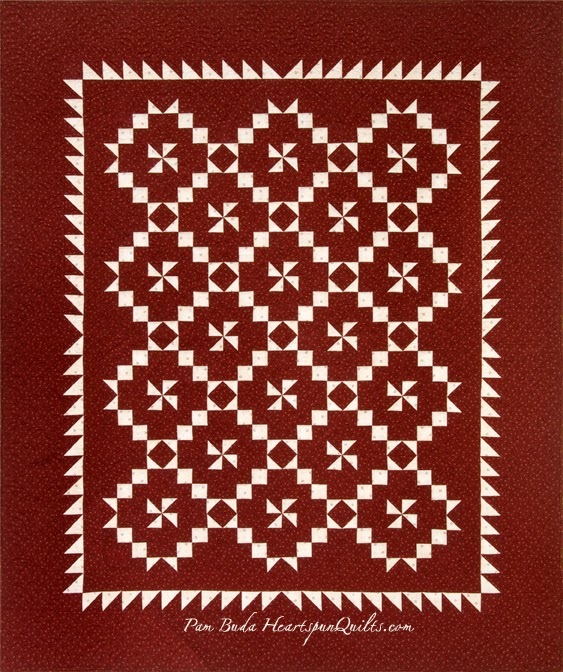 I am so happy to see this pattern and cant wait to make it. Watching Christmas Vacation on Christmas Eve is a family tradition and we even have some of the Hallmark Christmas ornaments. I missed out on buying Cousin Eddie's RV. 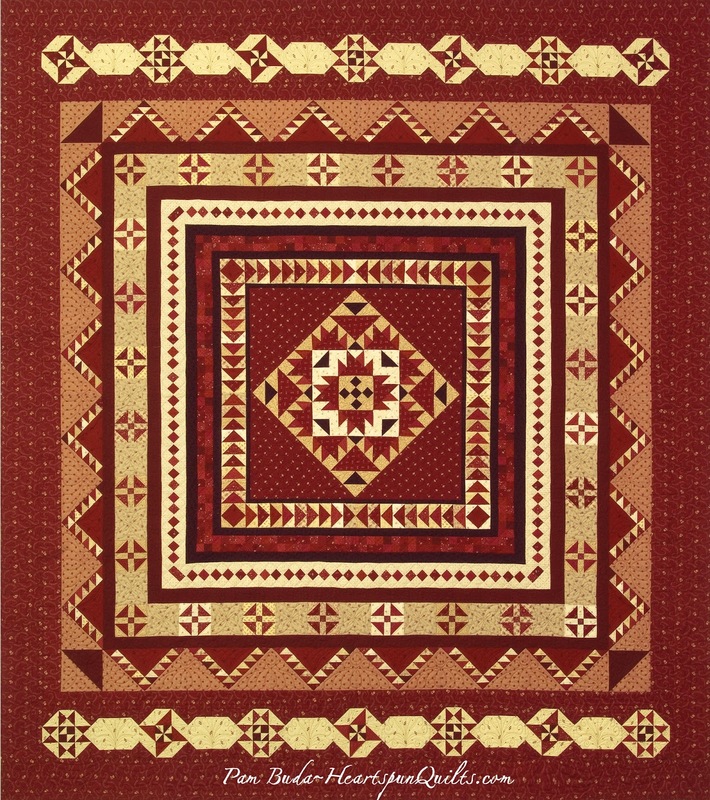 Have a wonderful Christmas and thanks again for the fun pattern and a chance to win. 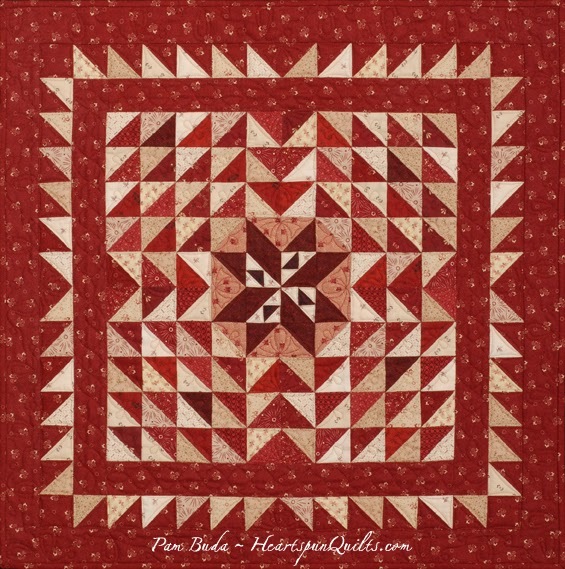 Ladies...please email me (Pam@HeartspunQuilts.com) with your address info so I can get those wonderful Gingher snip scissors in the mail to you in time for Christmas! 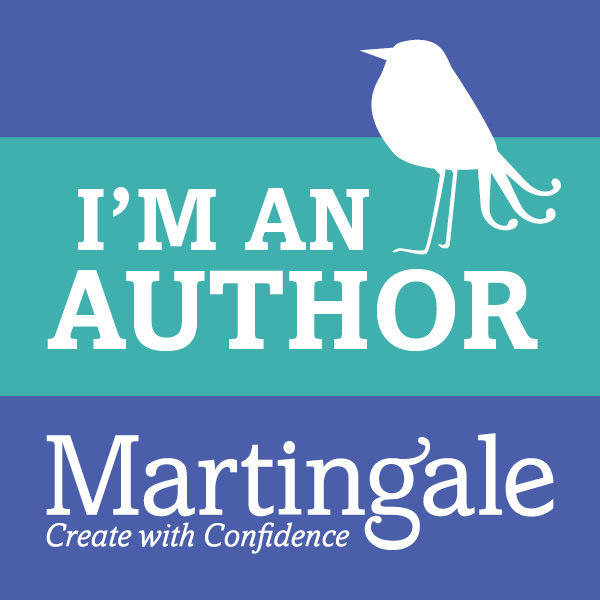 My thanks to everyone who visited my blog, not only during this special blog hop, but who regularly take time to check-in with me. I so appreciate you all year. 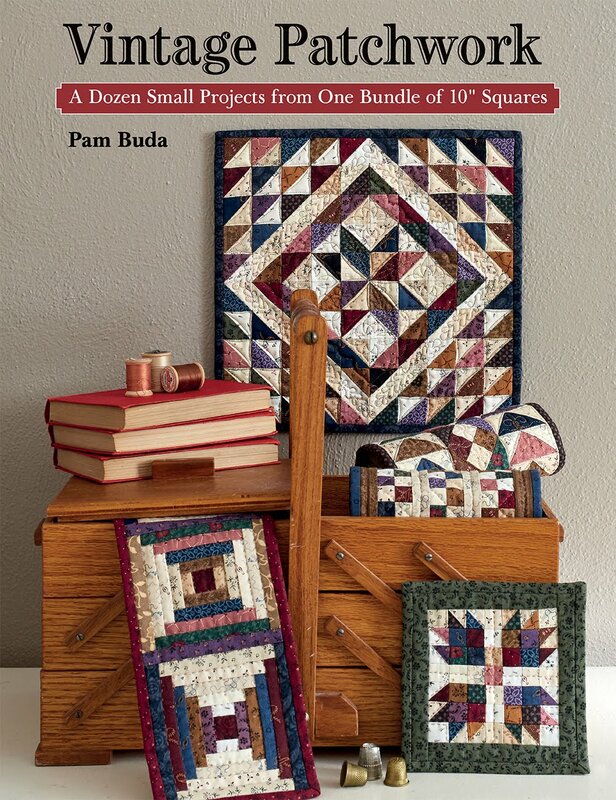 Most of the time, I do what I do alone, and you keep me company while I'm designing new quilts and new fabric lines, stay with me during the boring paper work, and give me a good reason to keep doing what I love. I'm so grateful to all of you! To everyone who took the time to leave me a comment, I can't begin to thank you for your very heartfelt words and Christmas remembrances. They filled my spirit with so much joy...I can't begin to express what it all meant to me. Thank you so very, very much!! Some of you asked questions in your comment, and I was unable to answer you because it was sent "no reply blogger". I would be happy to answer you, but I have no way of doing so. 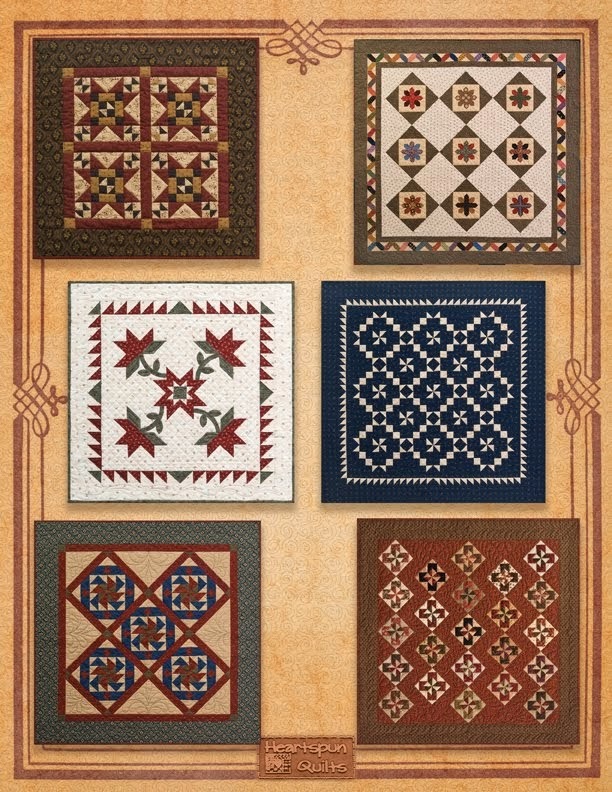 Several of you inquired about the sampler shown in the photo above with the Gingher scissors, asking for the name of the pattern. 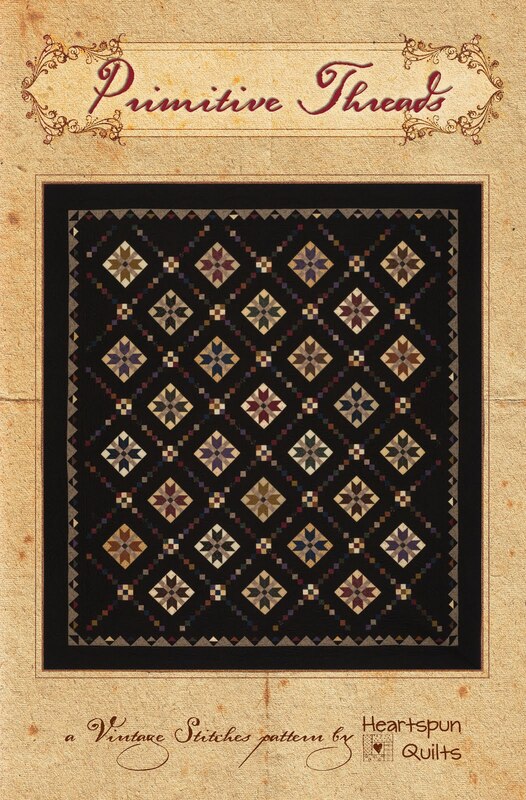 The sampler is from my collection of antique samplers, and was one I have not yet framed. I just wanted something pretty in the photo with the scissors. 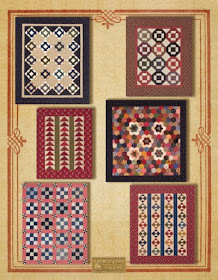 Never meant to frustrate anyone, and there are tons and tons of wonderful sampler patterns out there. 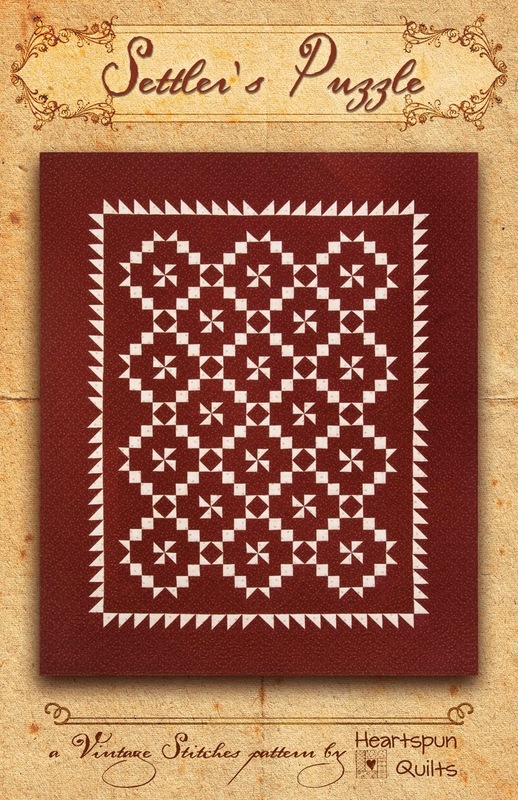 I certain you'll find some for your stitching pleasure. Just wanted to remind you that you have one more week to take advantage of my special offer of FREE SHIPPING! 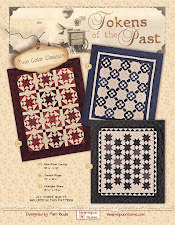 I have bundled a kit of the three quilts from my brand new pattern, Tokens of the Past: Gathering In Red. 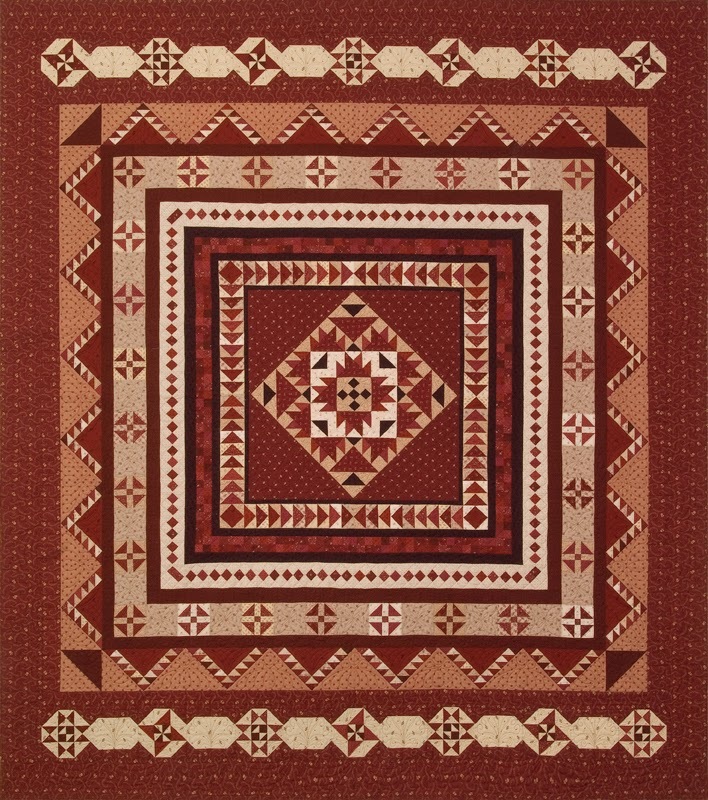 You will get the pattern, a Prairie Gathering 10 inch pre-cut, and the borders and bindings for all three quilts! Click here to read more about this special offer. Offer for free shipping ends December 22nd. As we count down the days until we celebrate the reason for the season, I hope you're not terribly rushed and stressed over all we do to make the holidays enjoyable for our families. I know this is easier said than done. 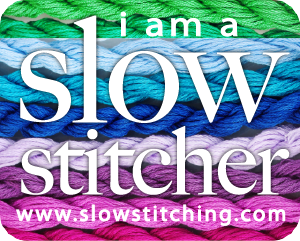 Try to take a little time to stitch something for yourself. 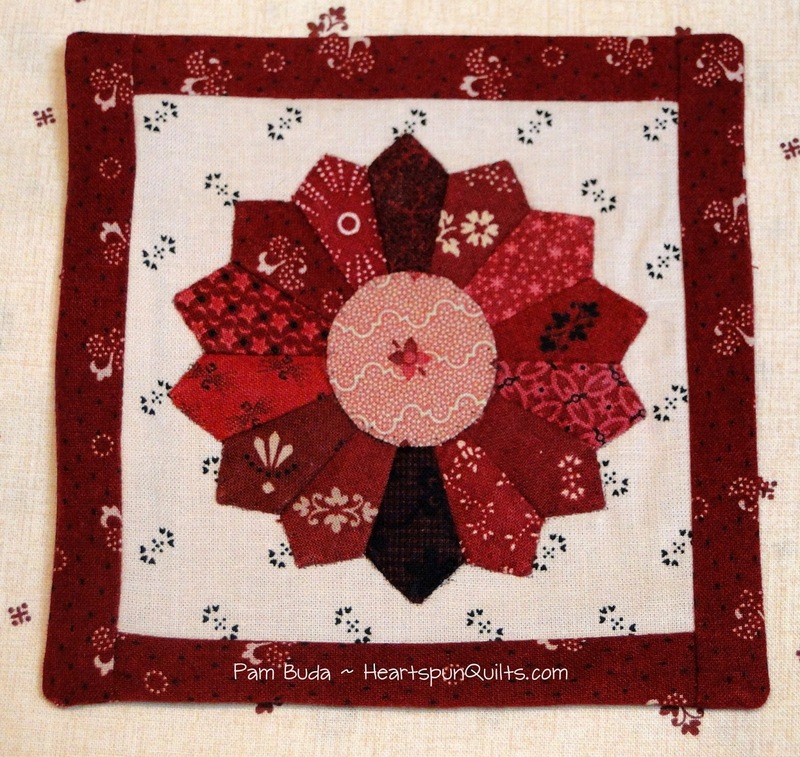 Stitching always brings a sense of peace to my heart and spirit, and I suspect it does the same for you. Oh, and by the way...I'll be trying to take my own advice! 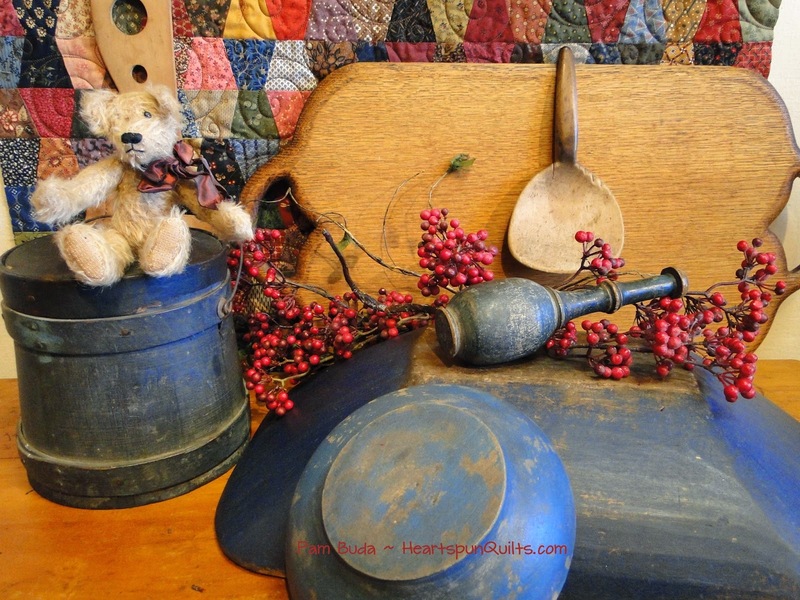 Welcome to our Primitive Christmas Handwork Blog Hop!! 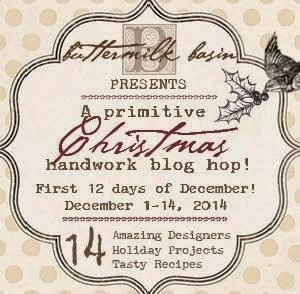 A Primitive Christmas Blog Hop! This is my first year participating in this awesome event, and I'm so jazzed to be a part of it! 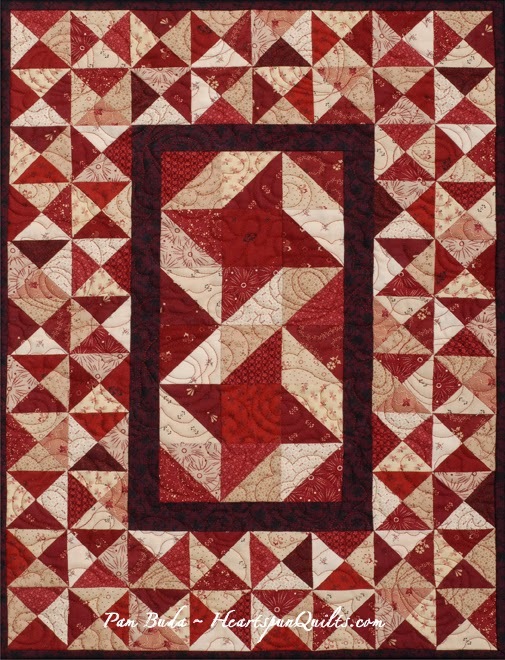 It has been such blast visiting every designer's blog each morning to see what new and wonderful project awaits. While I adore making wool projects, it's not something I normally work with when designing, so I thought this would be a good opportunity to step out of my comfort zone and give it a try. 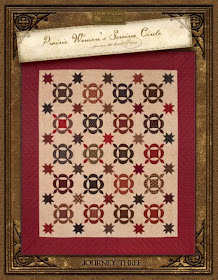 I've been designing original quilts since 2006, and began designing fabric for Marcus Fabrics a few years ago. 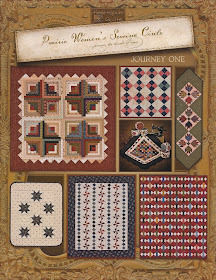 My first BOM program with Marcus, called A Prairie Gathering, is about to begin at your local quilt shop next month. 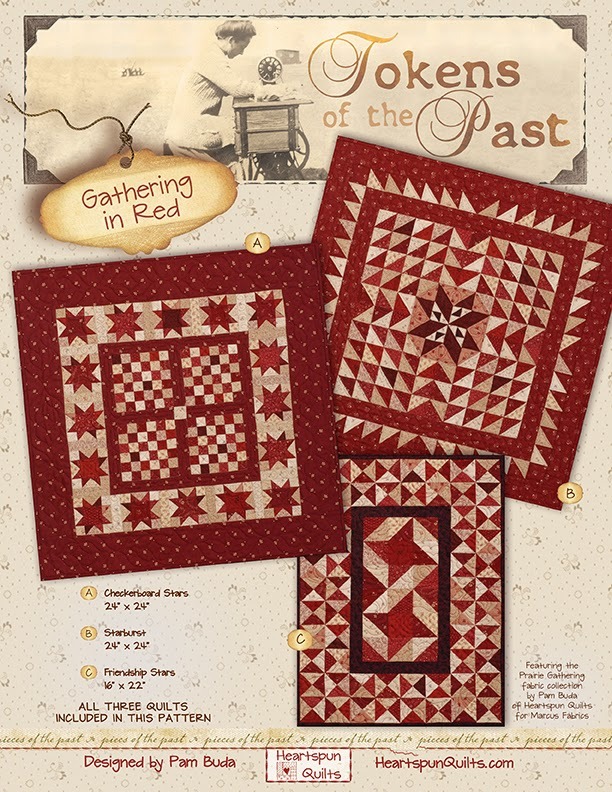 I have a new pattern series that has just been released, called Tokens of the Past, and Gathering In Red is the first pattern in the series. 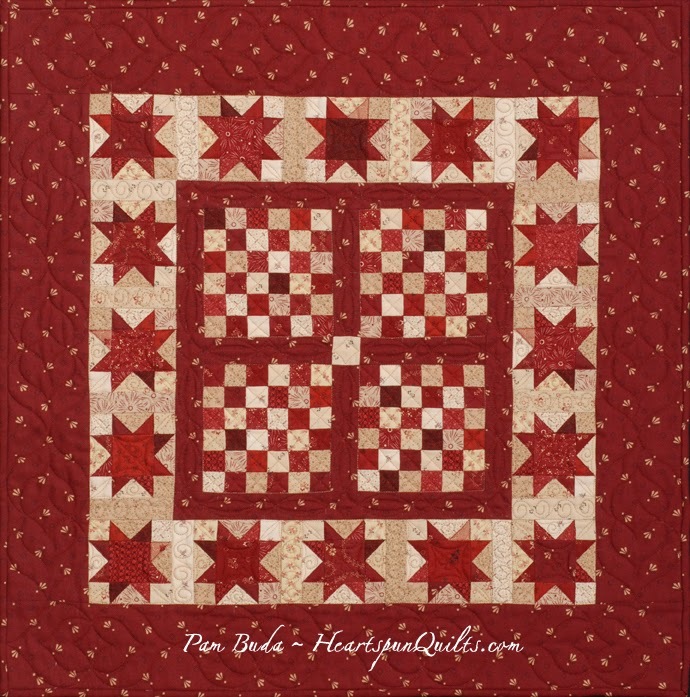 I designed three quilts for this pattern, and am super excited about the brand new 10 inch precuts of Prairie Gathering fabric that I used to make the units and blocks for all three quilts. 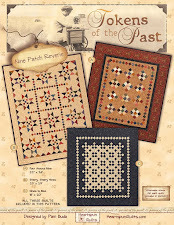 Click here to read more about the pattern and a special kit offer with free shipping!! 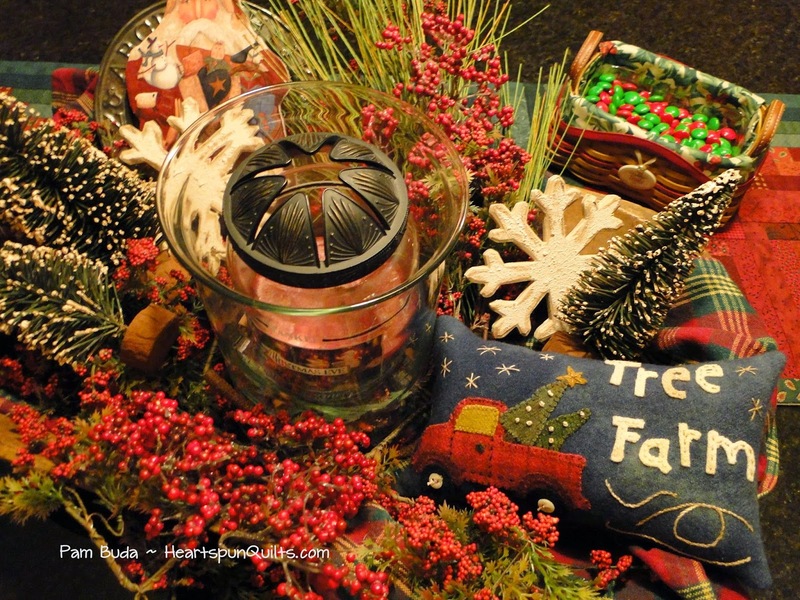 Christmastime certainly brings our family traditions to the forefront in our lives, doesn't it? In our home, we definitely have lots of them we love repeating each year, and sometimes begin new ones. We live in suburban Chicago, so we enjoy (yes, I do mean enjoy...well, most of the time!) four distinct seasons, and Christmas would not be Christmas without cold weather. We all hope for a White Christmas, too, but it doesn't happen all that often. Cookies have long been a part of Christmas at our home. Our daughter, Nicole, has taken over 90% of the cookie baking now. We make lots and lots of cookies each year to give to family and friends. One tradition we have enjoyed is dropping off large trays of cookies to our local police and fire departments, along with a big "thank you" to them for their service in our community. We've been doing that for more than 10 years now, and little did we know when we began, that our son would one day be a fireman/paramedic! We send lots of cookies to the folks at his firehouse all year long. The recipe I wanted to share with you is also a long-time family favorite. Every year, Christmas Eve is spent at my cousin Debbie's home (who took over for her mom after more than 50 years! 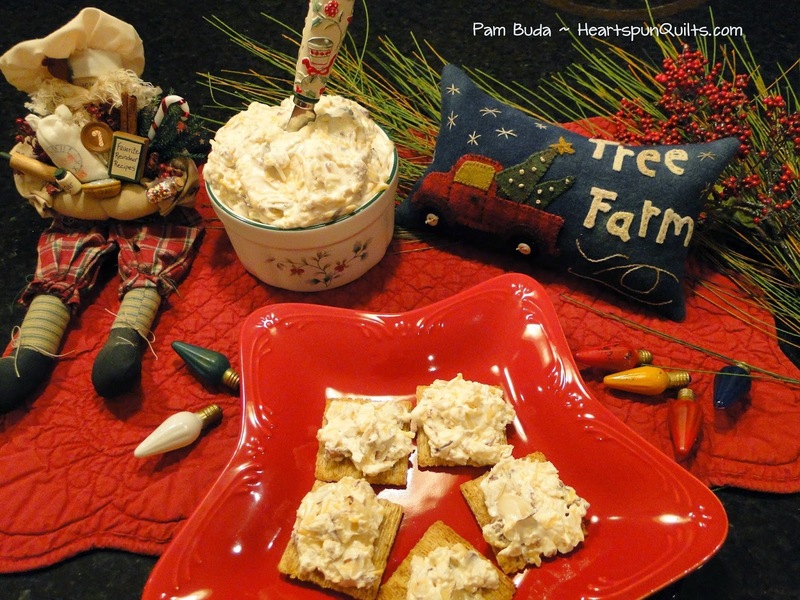 ), and this yummy dip as one of the dishes I bring. I know our family would be terribly disappointed if I didn't! It could not be easier to make, and actually feeds a crowd. I split the recipe in half, leaving one portion at home to serve on Christmas Day, and the other goes to Deb's for Christmas Eve. I hope you enjoy it as much as we do! 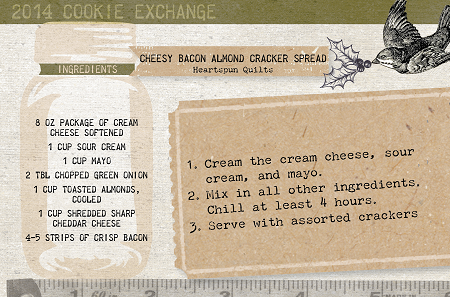 Click here for a downloadable, printable version of the recipe. And now...for the little project I designed just for you!! What is it about a red pick-up truck filled with Christmas trees, coming home from the Tree Farm, that just says Christmas to me? Is it just me, or do you love it, too? 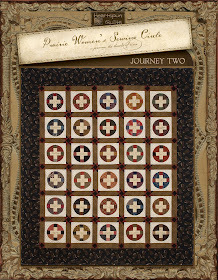 That's what I chose to depict in my little wool pinkeep. As always with my pictures, (sigh) the blue background of the pinkeep is much darker, more of a muted soldier blue/navy in color. The color of the blue background looks much better in the cheesy dip photo above. (If you knew how many pictures I have taken of this pinkeep! All I can say is thank God for digital cameras!) I love having pinkeeps all over the house. Love how they feel with crushed walnut shells in them. 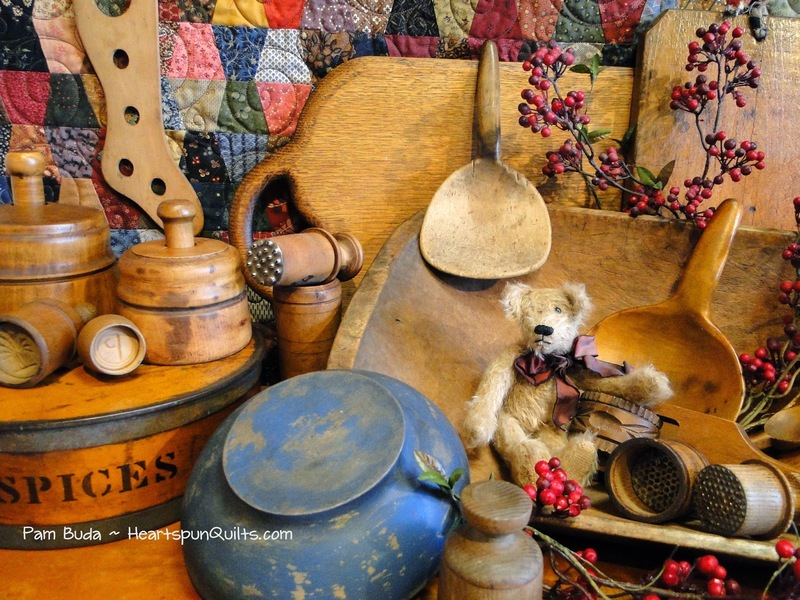 ...or on a table vignette. 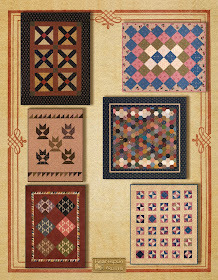 They go everywhere, and add a little, special something in design and texture, which is exactly what wool does, right?! 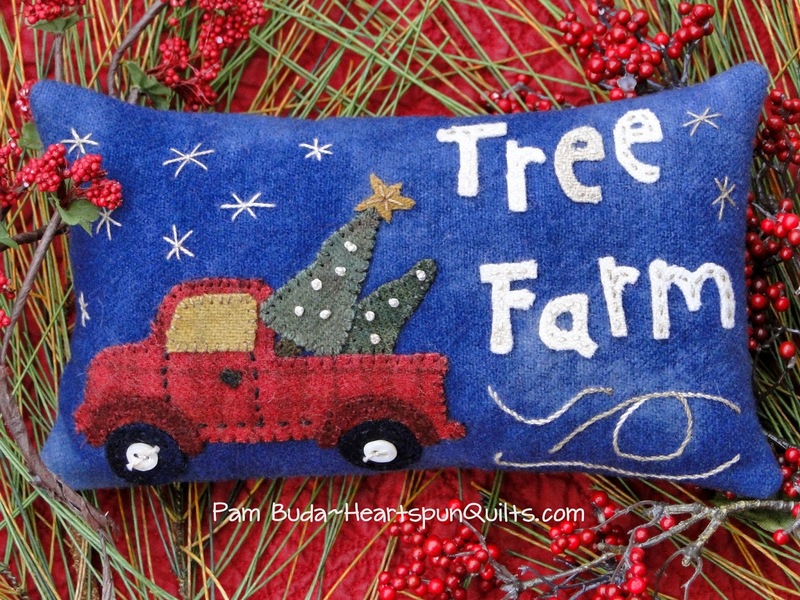 I'd love to have a red vintage pickup truck parked in my driveway, filled with real Christmas trees. (Wouldn't that be an awesome outside decoration for the driveway, Ryan?!) Oh, yes Pam, that's practical!! Well...a girl can daydream. Since that's wholly unlikely to happen, I'll just enjoy my pinkeep, and the good feelings it brings! 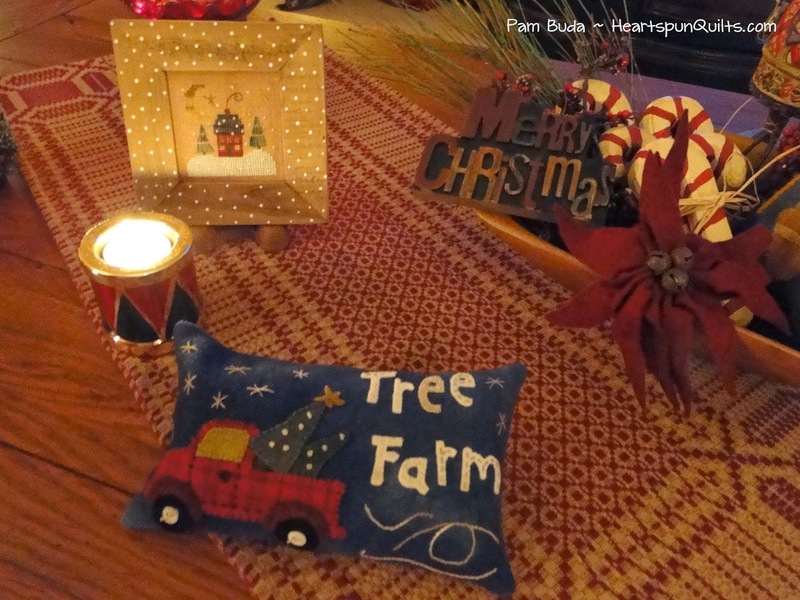 Click here for a downloadable, printable Tree Farm Wool Pinkeep pattern. I also want to share with you one of my favorite handwork notions...these small and very portable snip scissors by Gingher. They tuck into little bags for your to-go stitching, and snip threads beautifully. I have two of these babies to give away! Leave me a comment, and I'll draw winners on December 15th! Well, I'm so glad you stopped by to visit my blog. Thank you for coming, and I wish you and your family a very Merry Christmas, and a blessed New Year. 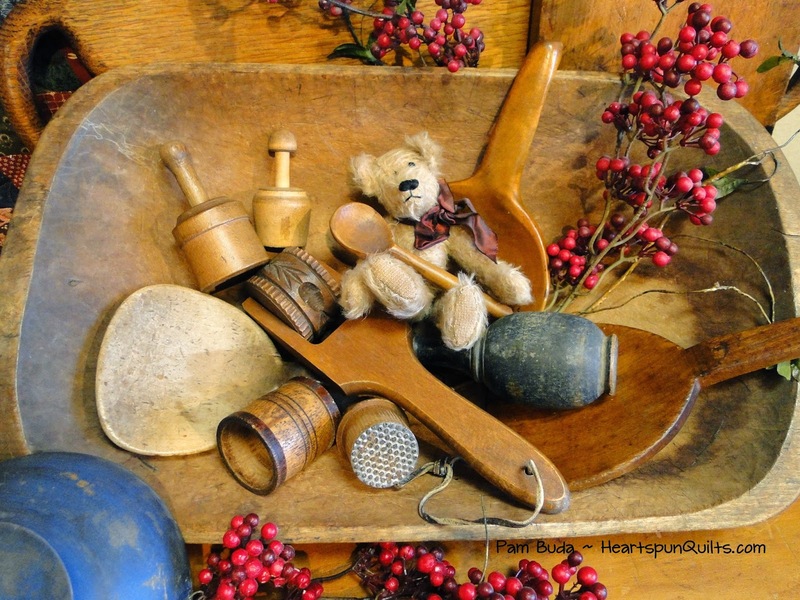 My thanks to Stacy West of Buttermilk Basin for coordinating the entire Primitive Christmas Blog Hop! What a great event this is!! Be sure to visit Lori Brechlin of Notforgotten Farm tomorrow. Happy Hand Stitching to Everyone! I've been busy with preparations for the holidays, as I'm sure many of you are as well, and quite enjoying myself. The house was decorated last weekend, and my hubby, kids and I are really getting into the spirit of things. I'll begin wrapping presents today, and soon the cookie baking will begin. 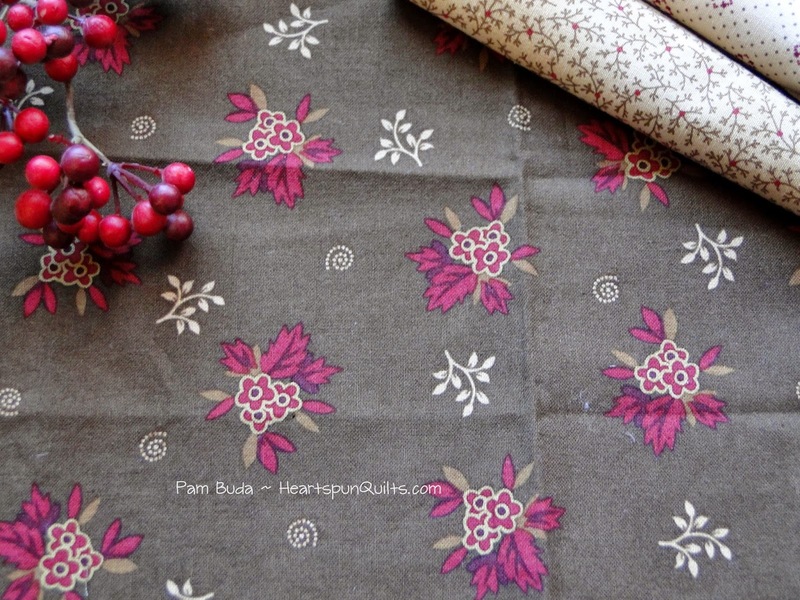 During the week, I've been working on designing the new quilts using my new Treenware & Berries fabric, and with writing the patterns. 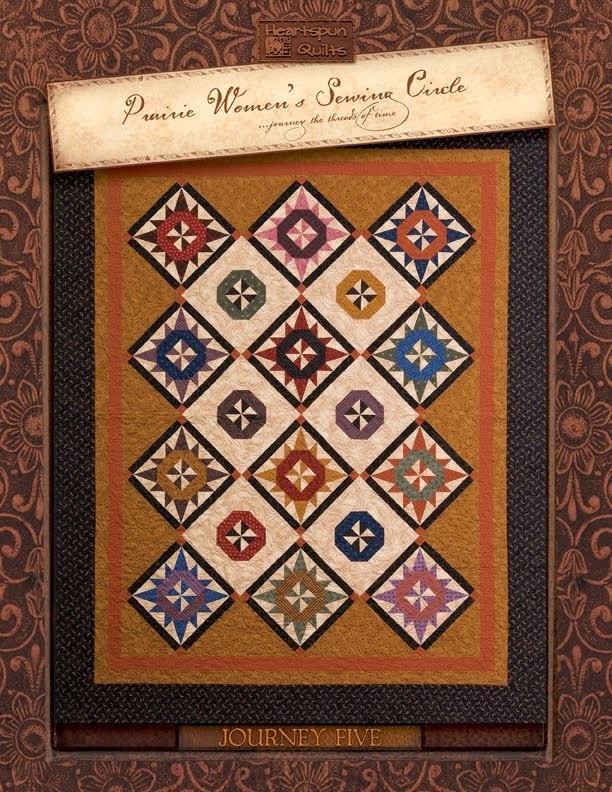 My friend Deb has been here working to assemble the Prairie Gathering patterns as they'll ship to all the quilt shops very soon. 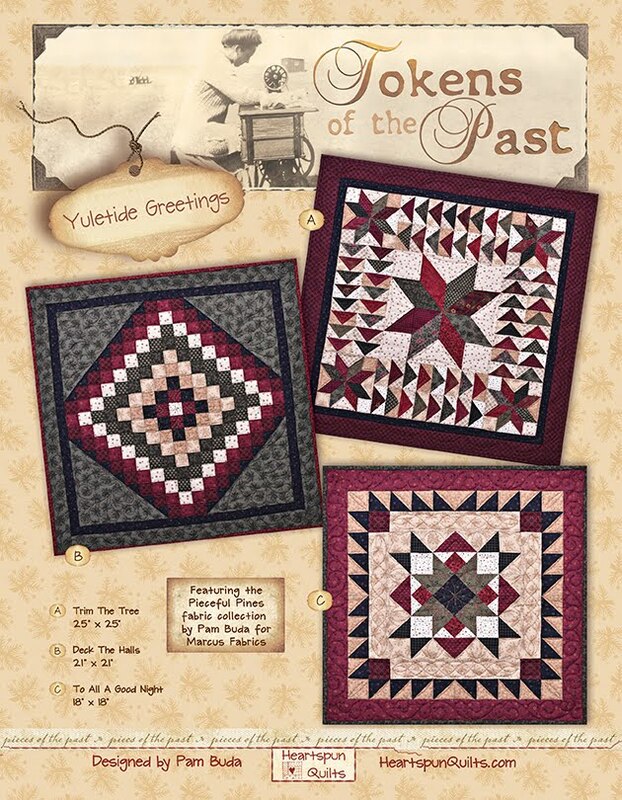 Lots to be done, and there are some good things coming for your piecing pleasure. I sure hope that you've been enjoying the Primitive Christmas Handwork Blog Hop!! Every morning, I grab my cup of coffee and my iPad, and start at Stacy West's Buttermilk Basin blog. Stacy is the person responsible for all this stitching goodness, and is the creative wizard behind the scenes running the show. Stacy has been writing the most wonderful stories of each designer, allowing us to all get to know them a little better. She provides the link for the designer who is posting that day. Wonderful! 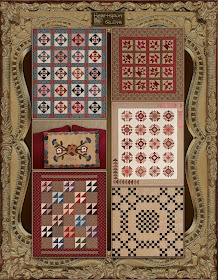 Today, Stacy introduced us to Kathy Cardiff, the oh-so-talented designer of The Cottage at Cardiff Farms. Check it out for yourself as Kathy shares a wonderful technique for transferring words, lines, anything onto your wool project, not to mention her recipe and awesome project!! Lots of good things as we enjoy this holiday season. Be sure to come right back here for my day to post, this coming Tuesday, December 9th!